Dolby Vision vs HDR10: Which is best? If you have the right hardware and pay TV subscription, you can catch some of the action from the PyeongChang Winter Olympics in 4K and HDR (high dynamic range). Both are new broadcasting formats that improve on today’s high-definition television and take advantage of screens and circuitry in many modern televisions. 4K images are four times conventional high-definition so they should be sharper and more detailed, while HDR (high dynamic range) is a method used to deliver brighter, more vibrant colors, whiter whites, and blacker blacks. NBC, the U.S. Olympics broadcaster, is making a 4K HDR signal available to all of the cable networks, satellite providers and online streaming platforms that carry its programming—but so far only a handful have said they will be offering it to viewers. Comcast, Dish Network, and DirecTV will offer the service, but you’ll need a 4K-capable set-top box. Your TV will obviously also need to support 4K and HDR to display the extra resolution and color. If you have a different provider, you’ll have to call them. Not all operators have the ability to deliver 4K signals. Coverage planned includes the opening ceremony and up to four events daily from the hockey, figure skating, short track speed skating, ski jumping, and snowboard big air competitions. They’ll be on a delay and nothing will be offered live. 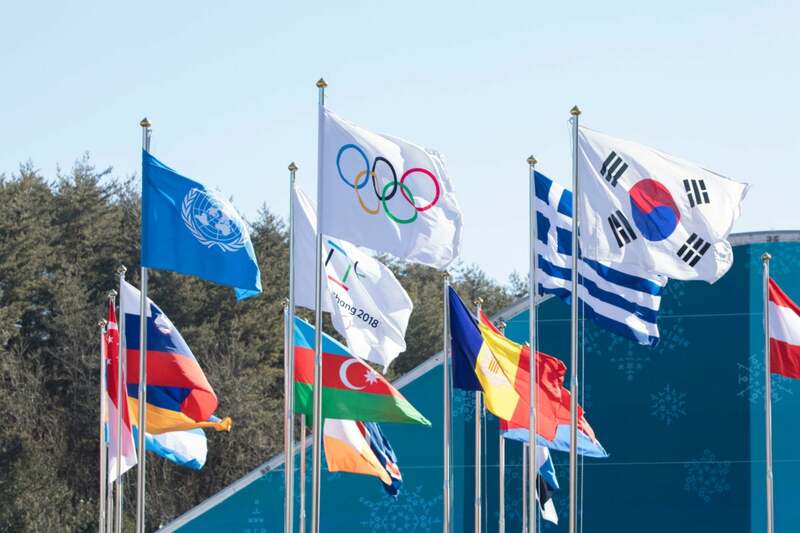 The 4K images are coming from a test of even more advanced broadcasting technology that is being readied for the Summer Olympic Games due to take place in Tokyo in 2020. Japanese national broadcaster NHK is shooting some of the Winter Olympics in 8K—a format offering a dizzying 7,680 pixels by 4,320 pixels (16 times HD resolution)—as part of its testing of the format due to go on air in Japan this year. NHK will offer an 8K signal for the Tokyo games and this year’s 4K service is a stepped-down version of its coverage. The Olympic Games has often served as a test bed of new broadcasting technology and NHK has often been one of the broadcasters at the forefront. It began testing high-definition at the Olympics in the 1990s, a decade or more before most homes would see HDTV sets. Its first 8K test at the Olympics was at the 2012 games in London. Don’t have cable? Here’s a guide to the Olympics for cord cutters.